I was sad to hear this news but am very proud of what my nephew Jared Pelechaty accomplished regardless of what anyone else said, his age or size and while battling back pain, exama, bullying and other challenges as a modern teen. Never mind the challenges of fighting for a spot on the bench and ice time on a WHL Junior team one step down from the NHL or AHL. We can all learn things from this young man! Sending my hugs until I see him next. The promising on-ice career of Jared Pelechaty has come to an abrupt end. The 17-year-old defencemen, who played 39 game for the Neepawa Natives last season, has announced via Twitter that he must retire from the game. The reason for the unexpected move has been attributed to an increased likelihood of long-term and severe back issues, if he were to continue pursuing contact sports. He learned of the diagnosis while attending the training camp of the Western Hockey League’s Seattle Thunderbirds, the major junior hockey team he played nine games for in 2015-2016. 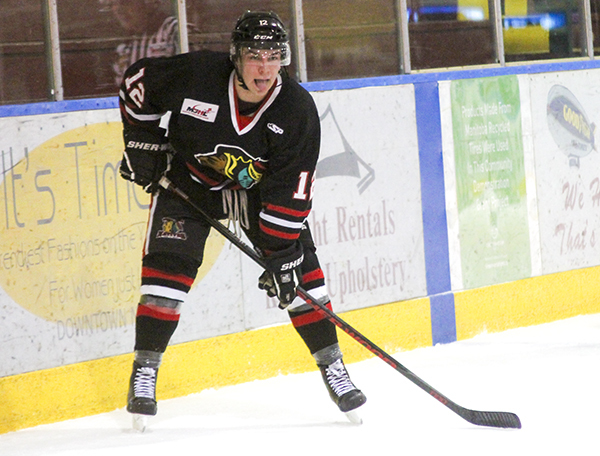 In 39 games with the Neepawa Natives, Pelechaty had seven points (Two goals – five assists) and 135 penalty minutes over the course of the regular season.